At Nest, our focus is on women’s health and fertility. We help you overcome fertility obstacles, gynecological issues, emotional stress and other conditions that may be affecting your life and overall wellbeing. We encourage open, thorough communication in a warm and inviting treatment environment, and give you the time and attention needed to express your concerns. Our approach is to combine the wisdom of Traditional Chinese Medicine (TCM) with a detailed understanding of western medicine to provide a comprehensive approach to your care. Our intention is to support your overall wellness whether it’s in an effort to manifest an outcome, to heal, or both at the same time. We believe that your body, mind and spirit working together is your greatest strength. You have everything you need. We just give you a boost of support to make things work the way nature intended. Although acupuncture is our main protocol, we feel that other aspects of TCM are just as important. Some adjunct therapies you might experience during your treatment at Nest include herbal supplements, nutritional support, lifestyle modifications, as well as other TCM modalities (such as moxibustion, cupping, massage, and Qi Gong). Acupuncture is a centuries-old healing technique that is based on the idea that energy (Qi) flows through our body in channels called meridians. Ideally, Qi is a balance of yin and yang energies and flows smoothly. If there is an imbalance or blockage, Qi doesn’t move as it should which causes disease, disability or another type of disruption. Acupuncture uses very fine needles in specific points on the meridian system, depending on your particular condition, to open up the flow and create balance. It is a very gentle process that works with your body to enable it to heal or function naturally. 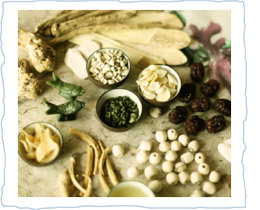 Another significant pillar of TCM is the use of herbal supplements. We prescribe herbal blends that work synergistically to promote healing and balance for specific conditions. Our herbs are pure and natural. We only carry and recommend herbs from companies that have been tested for safety and purity. You can expect your prescription to come in powder, capsule or pill form. Herbal supplementation is a gentle process that relies on ancient wisdom to support your own body’s processes in a fashion that is similar to acupuncture treatments. A foundational aspect of TCM is the integration of the principles of good, wholesome nutrition, and an understanding that certain foods affect our body’s systems in particular ways. As the old saying goes, “When the soil is well prepared, the harvest will be bountiful.” With that ancient Chinese proverb in mind, our practitioners may prescribe dietary changes in addition to the use of acupuncture and herbs to enhance your individual needs. 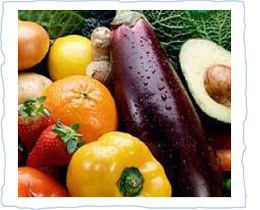 Nutritional counseling is included in an acupuncture visit or can be done separately. Optimum nutrition increases fertility, supports a healthy pregnancy, and improves the chances of giving birth to a thriving baby. Below are some recommendations on healthy eating for fertility as well as during pregnancy. The following way of eating will help your body to function at its best, balance hormones, and create a healthy reproductive system. You will feel energized while building a healthy foundation of nutrients for you and your baby. 1. EAT WHOLE FOODS (UNPROCESSED, ORGANIC FOOD THAT IS NOT PRESERVED): This is an easy way to ensure that you are giving your body healthy nutrients, while avoiding chemical additives. The quality of the food you put into your body has a major impact on the functioning of your hormones, cellular activity and overall health. The processing most food undergoes zaps much of the natural nutrition present in the original fruits, grains, and vegetables. Living foods (fruits, veggies, nuts, seeds) are nutritionally superior to packaged processed foods. 2. EAT ORGANIC, GRASS FED MEAT WITHOUT HORMONES: Eat hormone/antibiotic free, grass fed meats. The path of pregnancy is a delicate balance of hormones, so it is important to avoid anything that might create imbalance. Pesticides, chemicals and hormones used to treat produce and animal products contain synthetic estrogen-like substances, which occupy estrogen receptor sites. They have a negative effect on the organs and our endocrine system. 3. BALANCING ALKALINE AND ACIDIC FOODS: Consuming alkaline foods like non-citrus fruits, vegetables, sprouts, cereal grasses, creates a balanced pH in the reproductive system so that implantation can occur. Acidic foods (like meat, dairy products, and most grains) produce acidic environments and acidic cervical fluid, which make it difficult for sperm to survive. Chewing your food well is important because saliva has an alkalizing effect. 4. ESSENTAIL FATTY ACIDS (EFA’S): Essential fatty acids are very important to take when trying to conceive. EFAs act as hormone regulators, and they are associated with the releasing of the egg and the development of the corpus luteum. Omega-3 DHA and Omega-6 arachidonic acid are important structural elements of cell membranes, body tissue, and brain development in the fetus. Start taking EFAs at least three months before you try to get pregnant. Sources: Omega-3: Oily fish, non-hydrogenated cold-pressed oils such as flaxseed, eggs, raw nuts and seeds, dark leafy greens and cruciferous vegetables. 5. CRUCIFEROUS VEGETABLES: Cruciferous vegetables contain di-indolylmethane (DIM), a compound that stimulates more effective use of estrogen by increasing metabolism of estradiol. An excess of estrogen is often associated with the symptoms of PMS such as breast tenderness, moodiness, abnormal uterine growths and weight gain. Examples: Kale, cabbage, brussels sprouts, broccoli, cauliflower, bok choy. 6. REDUCE YOUR INTAKE OF SUGARS AND REFINED CARBOHYDRATES: Eating an excessive amount of sugar may lead to an imbalance in blood sugar levels, obesity and a higher potential for inflammation and diseases. High sugar consumption may reduce the quality of follicles and sperm, and it causes acidification of the cervical mucus, which can become more hostile to sperm. Replace refined sugar with stevia, agave, honey, or brown rice syrup. Limit your intake of breads and pasta, all of which convert to sugar in your blood stream, particularly white bread products. 7. EAT NOURISHING STEWS AND SOUPS: It’s a great way to combine healthy vegetables and protein and easy to digest. Use broths (chicken, beef, miso, vegetable) which supply calcium, minerals, protein and immune system boosters. You can make stocks in a Crock Pot using the bones from organic chicken or beef. 8. INTENTION: Put intention into the preparation and eating of meals. Take time and enjoy the process of cooking and remember that you are nurturing and healing your body. Traditional Chinese cuisine advocates chopping vegetables and meat to allow for the release of more energy when they are eaten, and lightly cooking vegetables rather than eating them raw to make them more easily digestible. It’s also a good idea to stay away from the microwave. Microwaving food affects its molecular structure and, and according to TCM, decreases the Qi energy available in the food. Make sure to eat your food in a calm environment and try and refrain from eating in your car, on the run or while working.